Dr Lee was interviewed on radio by Daniel Martin. 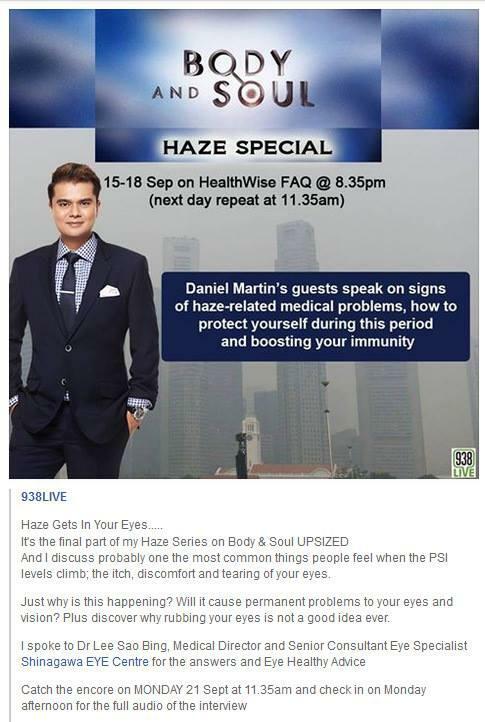 He spoke on how the haze can affect the eyes, what symptoms to look out for and how to care for the eyes for those who are affected by the haze. Here's the sound clip of the entire interview: 938 LIVE interview with Dr Lee Sao Bing.